If you saw Carl Oelerich at his skycap job in Salt Lake City’s airport, you probably wouldn’t think, “Now there’s a guy whose photography is so masterful and moving it could hang in just about any gallery in the world.” But it could, easily. For 15 years Carl traveled illegally to Cuba, where he fell in love with the countryside and the way of life of the Campesino farmers, who work the land the same way they have for generations. 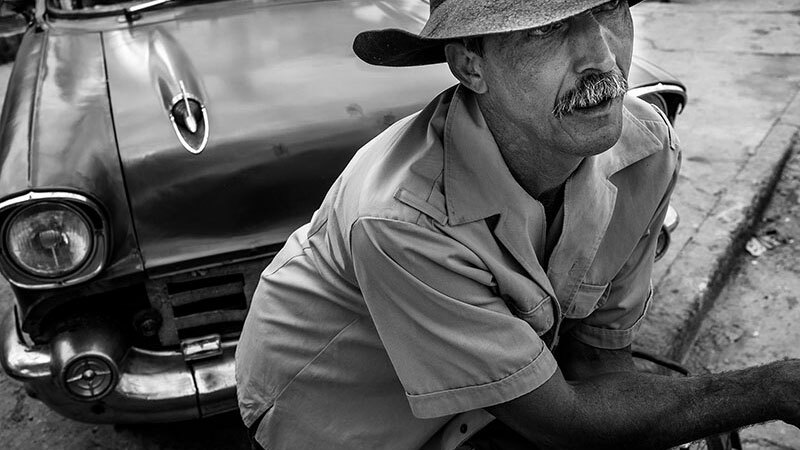 Cuba became Carl’s second home, and the people whose lives he documents have become his friends—like Candida Rose and Modesto, a loving couple who have only been married a mere 70-something years. One thing has been missing from Carl’s visits—his wife and children, who are about to make the journey with him for the first time. Finally, they’ll learn what he sees in this rarely seen side of Cuba and how he’s made his life as artful as his photographs. “Musicologists” from the Dominican Republic redefine “living out loud” with earth-shaking customized speaker systems, keeping this cultural passion alive, even in tough spots in New York City.